Home News Oreo the Most Stuf Available in Stores Locally Now! 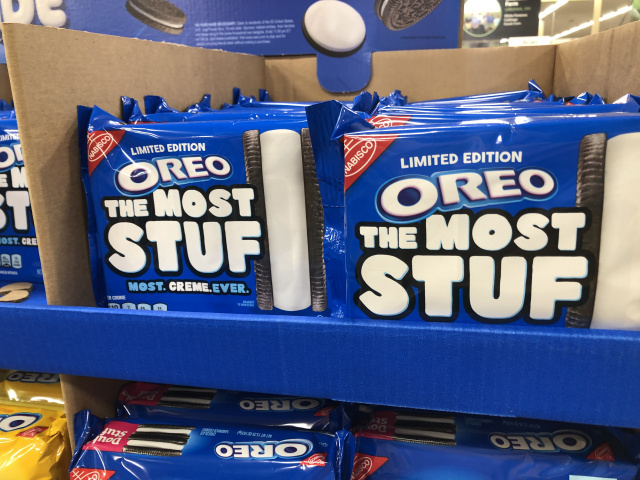 Oreo the Most Stuf Available in Stores Locally Now! CIRCLEVILLE – Oreos introduced a new cookie that claims to be the biggest they have ever made. According to the Oreo website double stuff and mega stuff oreos have nothing on these guys. Only 5 to a row, standard packages of oreos have twelve. I found these guys in the Circleville Kroger today on display. Who wants these monsters for V-Day?